The Construction Leadership Council (CLC) Steering Committee was established to fulfill the need to cultivate the next generation of leaders in the construction industry. The purpose of the CLC is to act as a conduit for contractors, architects, engineers and design professionals to network, exchange ideas about work and the industry, serve local communities and develop leadership skills. The CLC offers professional development events including Member Luncheons, Lunch-n-Learns, and the dynamic Leadership Series. 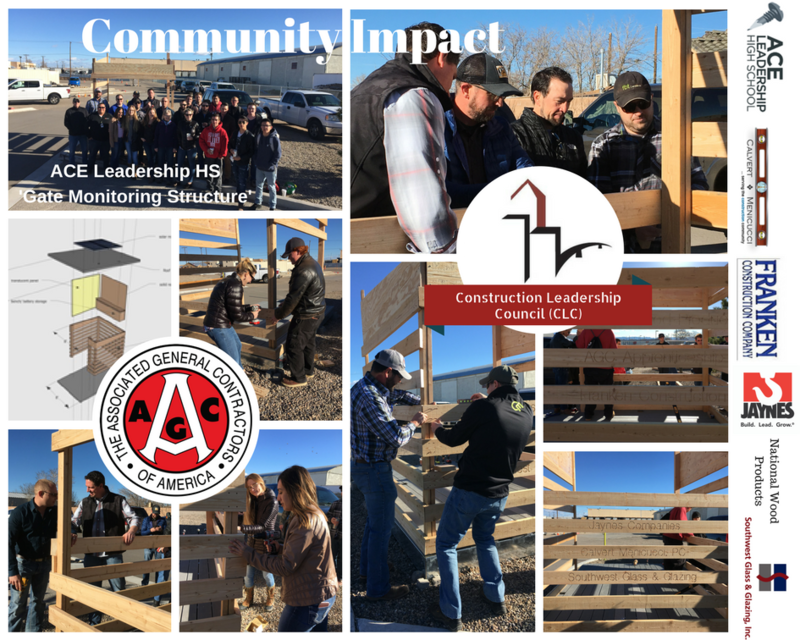 These events provide an opportunity for AGC New Mexico members to share lessons learned and get the latest tips, techniques, and trends from subject matter experts and leaders in the industry. The CLC Steering Committee is recognized for their dedication and assistance to ACE Leadership High School. Steering committee members worked with ACE instructors and staff on curriculum development and project-based learning concepts and principles. CLC Steering Committee members continue to provide support to the school and student mentorship. Please contact Kelly Roepke-Orth or call (505) 842-1462 if you are interested in becoming a member of the CLC Steering Committee or would like to attend the Jan 29 Orientation meeting.